The Ateco baking and cake decorating supplies company was started by a Mister August Thomsen in 1905 (though not during August of 1905…we don’t think), and ever since that time it has been a family owned and operated business. After all, baking is a family business, wouldn’t you say? Hands up those who have spent a weekend baking cookies and cakes with their kids! Ateco baking accessories are the icing on the cake – or at least, will help you get the icing on the cake. Their range of Pastry Brushes are a must-have for pastry chefs and bakers. Made with a lacquered wooden handle and natural bristles, they’re ideal for layering filo dough, making turnovers, topping baked goods with egg whites, and more. 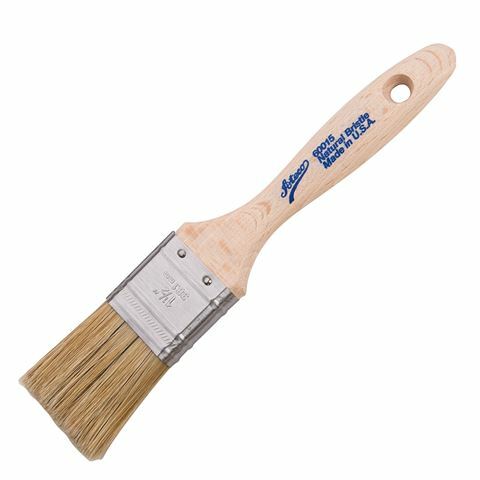 Lacquered wooden handle with natural bristles. Dimensions: 4cm (w) x 22cm (l).